Racing against the future stars of the sport, Shawn Stanley held his ground en route to placing seventh in the year-end OSCAAR Pro Sprint standings. After missing the season opener, Shawn Stanley made his 2018 debut at Sunset Speedway on Canada Day weekend. After a solid third in the second qualifying heat, he put together a clean feature en route to placing ninth in the 25-lap feature. 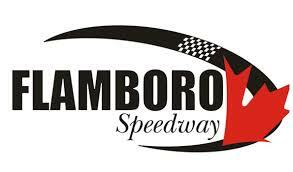 He carried the momentum to Flamboro Speedway at the end of the month, scoring a seventh-place finish. Unfortunately, August didn’t start off as planned for Stanley with mechanical issues plaguing him at Peterborough Speedway. He put together an impressive rebound a week later at Sauble Speedway, placing second in his first qualifier before scoring a fifth in the feature. He carried the momentum to Grand Bend Speedway, finishing seventh in the Saturday night feature before picking up his first heat win of the year on Sunday. He then backed it up with a third-place finish in the feature. Returning to Sunset Speedway, he ran in the top-five throughout the first feature and finished fifth despite having an issue on Lap 9. He then backed it up with a sixth in the second 25-lap affair. The second trip to Flamboro worked out well, too, with a sixth and seventh in the pair of events. He would get his redemption at Peterborough to complete the year, finishing seventh and eighth in the features. With Stanley scheduled for a hip replacement, the No. 75 Pro Sprint is up for sale, with someone set to get a car worthy of podium finishes. Best of luck to Shawn from all of OSCAAR on the surgery, and here’s to a speedy recovery.